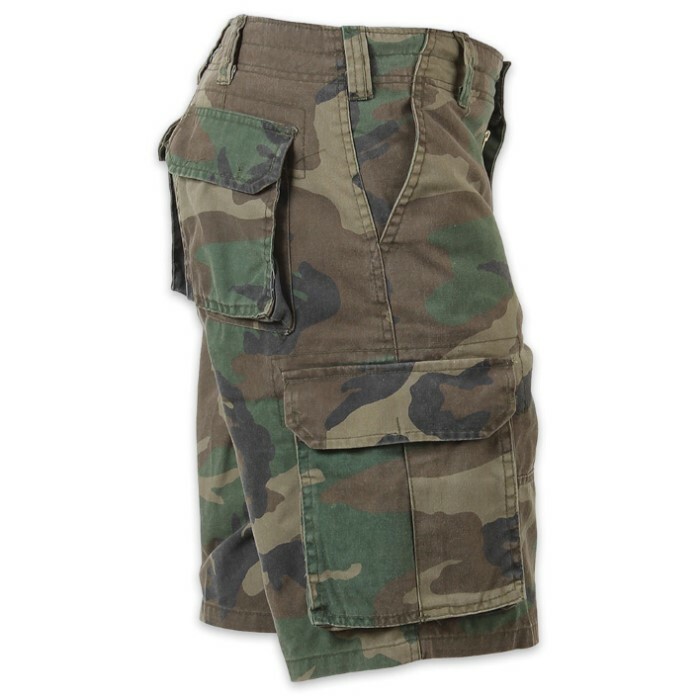 Vintage Camo Paratrooper Cargo Shorts | BUDK.com - Knives & Swords At The Lowest Prices! It’s hard to find a good pair of shorts that feel great and that will last forever! 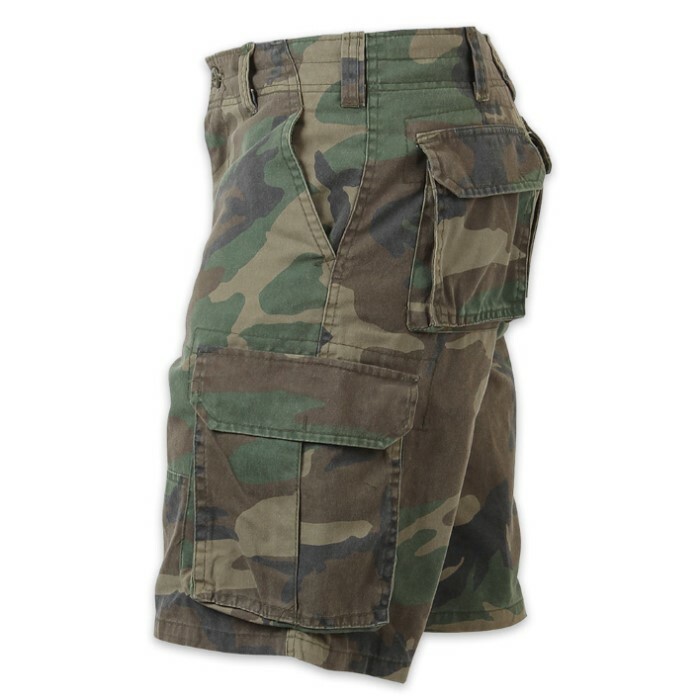 So, you must have our Vintage Paratrooper Cargo Shorts because they are super soft yet made of a durable washed cotton and polyester blend. You get six pockets so you can take everything you need when you’re on the go. 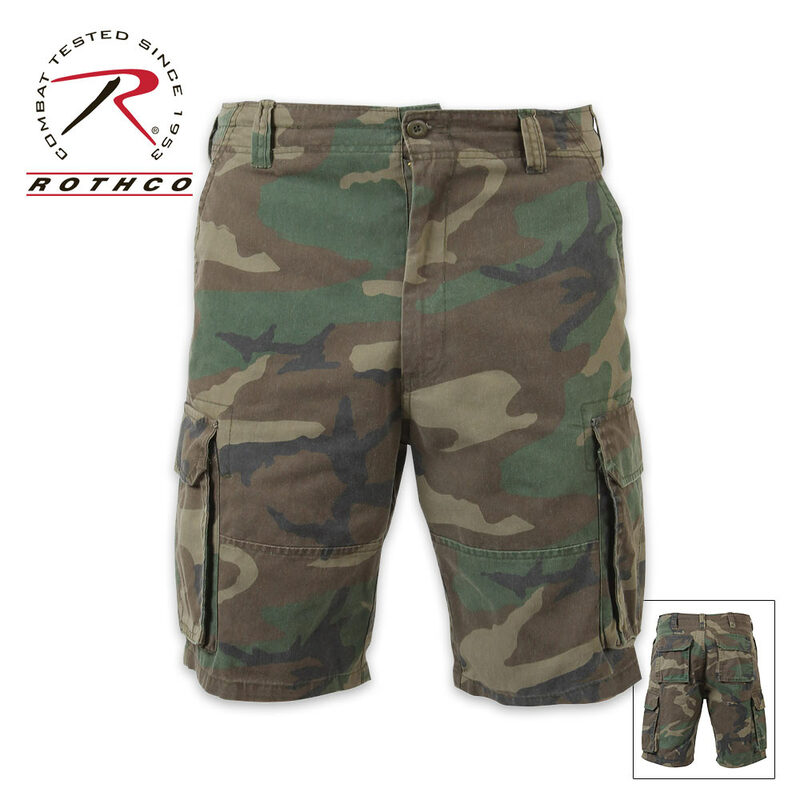 These cargo shorts also have a zipper fly and an inside waistband drawstring. They come in L, XL and 2XL.